Gen Z is Entering the Workplace - How Good Is Your Emoji? Sitting next to a Gen Xer on their phone versus a Gen Zer on their phone is not just chat that is streets apart; it’s another planet. We are talking grammatically correct sentences with the odd “u” or “K” versus strings of emojis…Gen Y sit in between with abbreviations and emoji combo. Get ready for a different type of language learning. Gen Z leads when it comes to usage of YouTube, Instagram, Twitter, Snapchat, Tumblr, Kik, Periscope and Tinder, and 92% of them have a digital footprint. Gen Z is about to enter the workplace – so how is your emoji? Hard to believe it, but emoji has only been available to a global audience since 2011. The word emoji comes from the Japanese e (絵, “picture”) + moji (文字, “character”). With the emergence of emojis, the different ways we communicate and decipher messages have been redefined. How did emojis come about? Thousands of years ago, cave paintings, rock arts, petroglyphs and pictograms from the ancient civilizations of Mesopotamia and Egypt were used to communicate an idea or thought. In 1999, Shigetaka Kurita from Japan created the first prototypes of emojis. Then the Japanese mobile industry improvised it for its teenage audience. They were once called ‘emoticons’ available in chat rooms like Yahoo Messenger, MSN and AOL. Due to the development of electronic and mobile messaging, the emojis became more known to the rest of the world. Back then, our emojis looked nothing like the yellow faces we see now. Emojis can be formed by combining characters like “:” + “-“ + “(” to show that “:-(” sad face, or a “;” for a “;-)” wink face. Even today, the arrangement of specific punctuations is still used to create new Emoji faces or symbols. Some of Gen X may remember that distant tag…smileys! So get used to the fact emojis are the new global language. Who needs Esperanto when you have Emoji? Every time we get used to a new trend, we underestimate how much impact it has on our daily lives. When was the last time you didn’t use an emoji in any of your messages, for one whole day? The majority of the Generations Y & Z – true emoji believers – would probably not remember. Emojis are also growing in popularity with the Generation X and Baby Boomers, mainly due to their expressive faces that make it so much easier to explain reactions and feelings. We even use them when we speak, as a shortcut to how we feel. This is “my unsmiley/angry face”. We can’t deny it; emojis are part of our daily interactions and play a major role in the evolution of our communication. It’s no wonder; we’re in a time where raw, quick, easy, visual content is golden. We replace words with images for quick understanding and we share our reaction to something on social media and appreciate the feedback, which also comes as an emoji. (Face with Tears of Joy). So what are the criteria for a word, or in this case a pictograph? The word needs to be used in many different sources by different people to become a ‘candidate’. Those who are the most significant, relevant and long-term make it to the final edition. 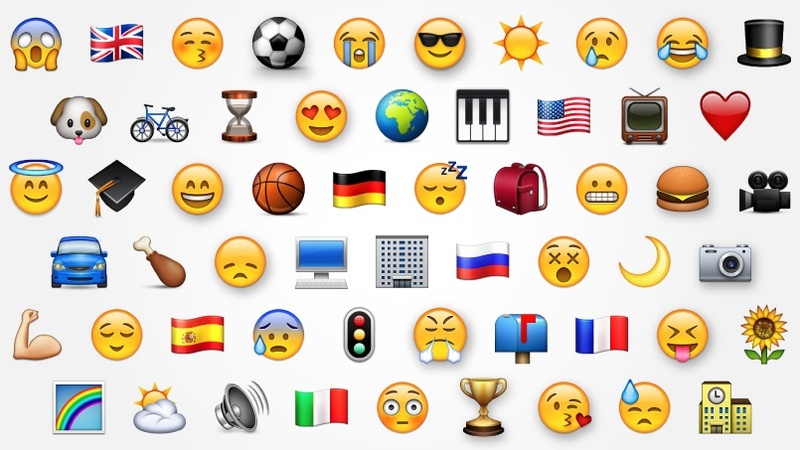 It’s not surprising, according to Wired, the Tears of Joy was the most tweeted emoji (6.6 billion times!) in 2015, and holds first place for the most used pictograph in the US (17% of all emojis). Emoji movie: Express Yourself is coming to your screens in 2017, announced by Sony in June 2016. We can expect another hilarious Minion-style animation movie, which will explore the mysterious world of our smartphones. We admit that we’re looking forward to this. 72 ones new to be exact; even more ways to describe how you’re feeling, what you’re doing and what you’re eating. 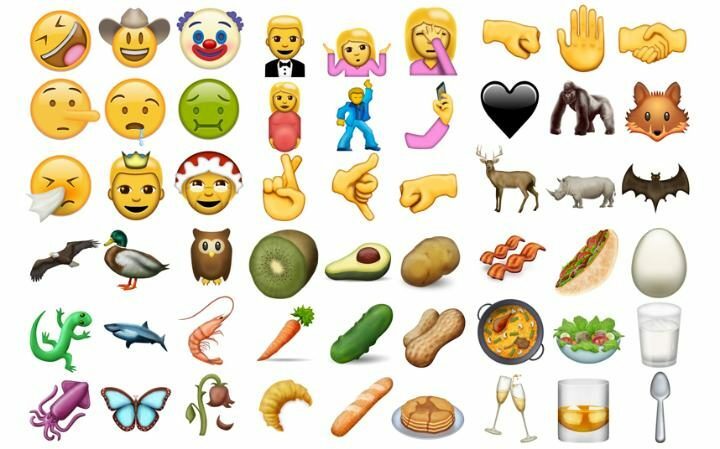 Are Emojis The Future Of Language? As much as we love emojis, and their ability to make an online conversation more engaging and filled with emotions, we are limited as the meaning can, in some cases, be misinterpreted. Their future? We can expect more choice and more platforms to use emojis, and an emoji dictionary with a pictograph for every word, and coming to life. Think holograms, bots. That said, world languages remain a key driver for opportunity and are not going away anytime soon. Languages go hand-in-hand with understanding different cultures, global mobility, job opportunities and relationship building. This generation is global in their thinking, interactions, and relatability, and are writing new rules that favor liberal viewpoints on things like race, gender, identity, and have grown up expecting and celebrating diversity. Combining world languages and cultures with emoji? Now that’s a winning Gen Z formula!